“Blues Matters! represents all shades and directions of the Blues with all the enthusiasm it deserves and with seriousness, depth and belief in being open. By doing so, we bring together the music, artists/musicians, publications, creators, industry, and importantly you the fans, who enjoy, and therefore help sustain, the Blues for further generations. Each issue reveals a refreshing tonic of information, fact, honesty, and humour. Blues Matters! 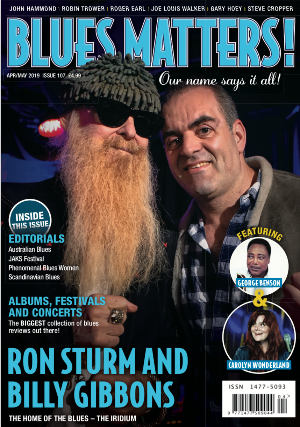 brings a wide-range of Blues topics to our readers in a neat and portable format (easy to bookcase for reference and read in transit) being available in print, digital and (now) branded app forms all for your Blues convenience!……….because: Blues Matters! Blues Matters aims to bigger and better heights for the Blues industry across the world so join us and support Blues Matters.